Salutations all. Names Arcedfuse however i would prefer Ab, as is it what my friends call me, which is short for Abnormaul. I can't boast years and years as some of you can, but i know a comic that i like when i see it and boy was i distraught when I caught up to present day in only half a month(for me that's fast since the last book i read in full was in middle school). I'm now leaving my teenager years as i get my career in firefighting and emergency response off the ground. As far as entertainment goes however, I primarily play video games and criticise and analyse movies, I've an intimacy with wrestling and golf as well. Is there a connection between wrestling and golf that makes you like both, or do they fill different roles? Welcome tot he forums, Ab! Well you see Obbl ever since my almost first fight in first grade it gave me a glimpse of a side of life I didn't like, as well as observing that all fights had no justifiable victim just culprits. Thus, I swore to a life of pacifism, and i became extremely tolerant people's harsh words and trifling opinions. So when high school came bumpin' along I decided to exercise my patience with golf freshman year as it reminded me of times when my dad was patient enough to teach me the intricacies of swinging a stick. So when sophomore year came around i was being hit with a lot of life and didn't want to take it out on the poor soul who would have decided to shout in my ear whilst i was in a mood for the sake of a joke as i was highly irritable as a result of life, so my solution was to throw people who signed up to get thrown and thus my wrestling hobby started. As mentioned previously I still do enjoy both sports with equal vigor, it's just a matter being able to do them at my age now. If you have any questions, feel free to speak to one of the Moderator team members. We'll help how we can. WELCOME TO THE FORUMS AB!!!!! !!!! ! !!! ! !!!! !! Everybody is important. So I greet everybody with all the enthusiasm I can. Also from my side, welcome to the forums Ab, have a lot of fun here. That's a nice background story of the connection between golf and wrestling. Welcome to the forums Ab! Hope you enjoy it here! Bonjour my name is Fokushi Meishin but you can call me Fokushi or Mei. 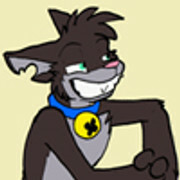 I was introduce to the housepets comic by my brother and have loved it ever since. I like reading, writing, coloring, and sleeping. I love animals and my favorite housepets character is Grape. I love Rp and I have a decent amount of experience. I think that's about it. It's nice to meet you all! WELCOME TO THE FORUMS!!! !! !!!! It's great to meet you! If you like RP, we have a good comunity of RPers. I gm The Beacon of Hope RP. You should give it a read! There are a bunch of other rps you can take a look at as well. Greetings! We share many similar interests! Welcome to the forums, I hope you enjoy your stay! There is plent to do, including some role-plays (I recommend any, they are all great.) As I said, welcome! Hello and welcome here, Fokushi, nice to meet you! Your brother did well to introduce you to the comic, but seems that he's not already registered here, right? Edit: and thank you everyone for the warm welcome! I hope to have tons of fun here! Welcome to the forums, Mei! Have a lot to fun here and in case you have any questions, don't hesitate to ask. Welcome to the forums, mei! Life doesn't give you lemons anymore. It gives you something much worse.....ROTTEN BANANAS. Welcome! I hope you enjoy your stay here. If you have any questions on how things work, feel free to contact anyone on the moderator team. Welcome to the forums, Invertebrate! Hello and welcome here, C7, you certainly found a great comic community. WELCOME TO THE FORUMS, C7!!!!!!!!!!!!!!!! Thanks for the warm welcome ladies and gents. Welcome to the forums, Invertebrate1837! Have a nice time here and lots of fun. If you have any questions, don't hesitate to ask. Bah-weep-Graaaaagnah wheep ni ni bawng. And yes, the filter can be odd at times, but better than nothing. Heya, I am 'EntVanen', Vanen for short. I had been lurking in the Telegram group for a few weeks and finally decided to make an account hear after people were talking about the forums today. Before that, I had discovered Housepets while on the furry subreddit looking in to what a furry 'is' after the term came up in an unrelated gaming community. Within a week, I read the whole series and have been hooked ever since! Otherwise, as a hobby I like to dabble in game development. I have developed very limited artistic ability so I like to focus on programming up various systems prototypes. My username is a bit weird but just Vanen was taken in a bunch of places. So, I decided to make a joke about my druid in wow, also called Vanen, as a resto healer often had to go into some sort of tree form. Welcome to the forum! It's cool to see folks coming over from the Telegram group. Welcome to the forums, EntVanen! Awesome! Welcome to the forums, Vanen! Glad you could join us forum-goers! Welcome here, Vanen! You made a great turn till when you discovered this webcomic. Welcome to the forums, Vanen! Have a lot of fun here and in case you have any questions, don't hesitate to ask. Nice to see you here, Vanen! Hi I'm Ralphey, but you can call me Ralph or Ray for short. This is my first time joining a forum (so please correct me if I'm doing something wrong). I found Housepets by accident while surfing through the internet and all I can say is I love it. By the way, can anyone tell me how to attach a picture? HI RALPHEY!!!! !!! !!! !!! I'm really glad you decided to join the forums! Don't worry too much about doing anything wrong. Things are pretty cool around here. As for how to attach a picture to your profile, If you go to User Control Panel and go to your profile, there should be something there that lets you upload or provide a URL for an image. If you upload it, it has to be a certain size. Welcome to the forums Ralphey! Cyber explained it pretty well. Click the "User Control Panel" link in the blue bar up the top. Then look to the left and select Profile>Edit Avatar. The picture needs to be no more than 100x100 pixels. I hope you have a great time here! I'm sure you will! But if you need anything or have any more questions please do feel free to ask any of our friendly staff at any time! You'll recognise us by our dark blue, green, red or silver names. Thanks for the welcome and explanation.